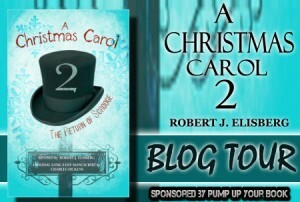 Review: A Christmas Carol 2 by Robert J. Elisberg by Melissa Bartell is licensed under a Creative Commons Attribution-NonCommercial-ShareAlike 4.0 International License. Dear Ms. Biblioteca, Well, that’s certainly a nice way to start the day — especially after having been visited by three ghosts the night before. Thanks very much, Melissa, I appreciate it. 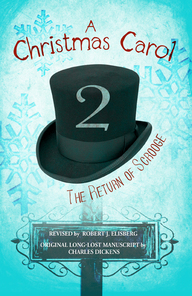 As you note, there is indeed a very fine line to walk with the parody, but I hope the great affection for Dickens came through, which in the end (I think) is what makes that tightrope manageable. Hey, if you had trepidation before reading it, imagine the trepidation before writing it! By the way, the reason for including the footnotes was specifically so that people who don’t know Dickens in the slightest would be able to appreciate the book, too. The fun was coming up with the idea to make them a sub-plot to the story at the same time. Oh Melissa, this was a WONDERFUL review! Thank you so much!